A wonderful street fair featuring over 50 local artists, makers and food and beverage producers. SF Etsy comes to life with over 50 local artisans, makers, crafters and food and beverage producers at All Good Pizza in the sunny Bayview district of San Francisco. 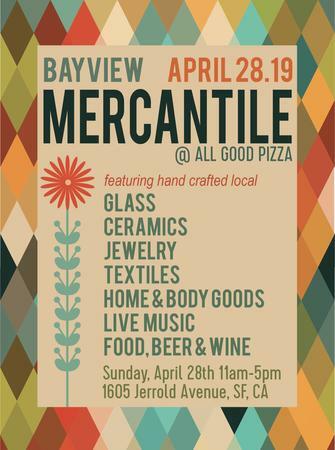 Shop local for glass arts, ceramics, art, SF T-shirts, handmade jewelry, home goods, delicious snacks and food, beer and wine and so much more! Food / Drink | Festivals. Artist / Speaker: DJ Aware.